There are three handwriting styles: printed, joined up and cursive. Sometimes the joined up style is called ‘pre-cursive’. 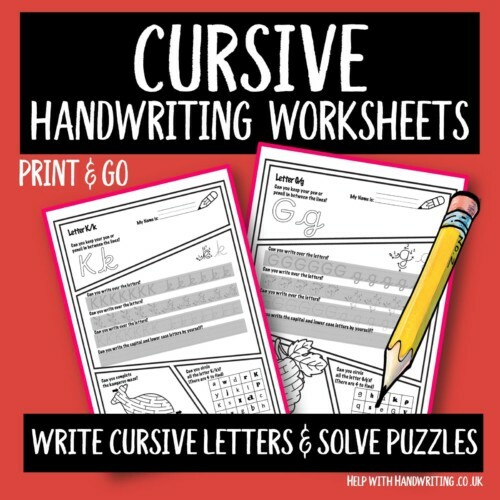 The worksheets in this category will help your child improve their ability to write individual letters of the alphabet. What style is your child using? Look at the writing below and use it as a guide when choosing the worksheets needed to match how your child is being taught to write at school. Letter joins – Horses head (ch, sh, th, tl, ll, ill, sli, slu, ck, ack, st, sti, ink, unk) is part of my cowboy letter joins series. There are 14 letter joins to learn. Each sheet helps your child master this skill in a fun way. Letter joins – Cowboys (wl, of, ff, fl, flo) is the fourth in the series of my cowboy letter joins. 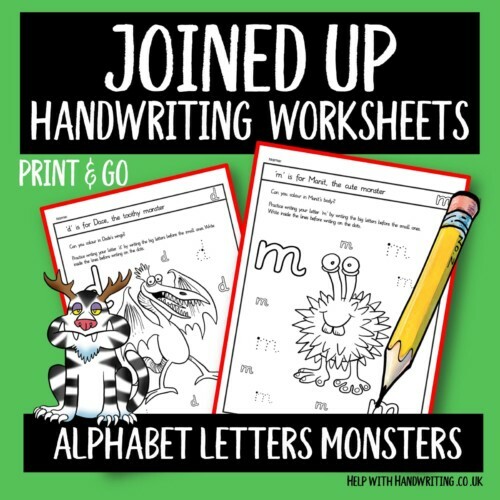 These 5 worksheets will help your child develop the skills needed to join letters together with ease. Joining letters is a skill that needs to be mastered. 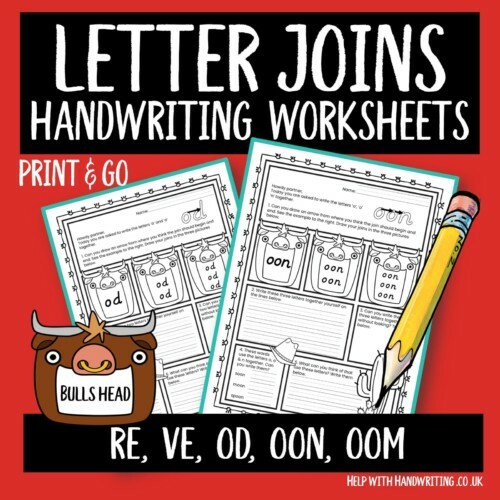 These 4 worksheets concentrate on a helping a child write the letter joins re, ve, od, oon, oom. It is called the bulls head worksheets and is part of my cowboy series. 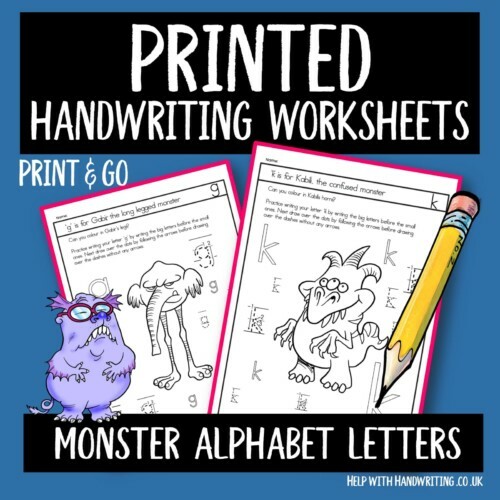 Use these 26 monster worksheets to practice writing individual lower case letters. A child should master the large letters before the smaller ones. A printed style has no lead in or out letter strokes. Learn how to write individual lower case letters with these alphabet sheets. A child should master the large letters before the smaller ones. A joined up style has lead out letter strokes. 26 worksheets. 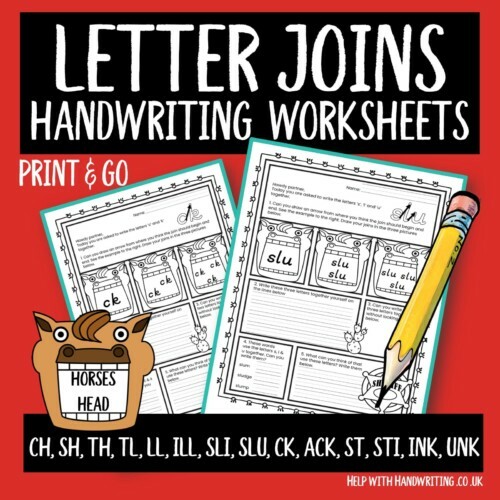 Improve individual letters with these alphabet sheets. Here a child should write a capital and lower case letters before writing the names of superheroes. A cursive style has lead in and lead out letter strokes. 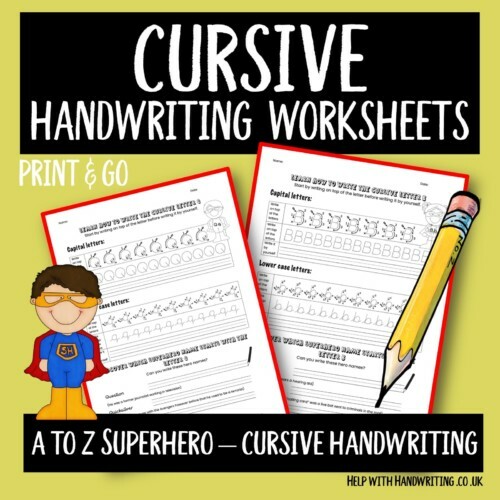 Use these 26 alphabet worksheets in the cursive handwriting style to help your child improve their letter writing skills. Every page has writing practice, mazes to complete and a letter puzzle to solve. Don’t just say the tongue twisters write them too. 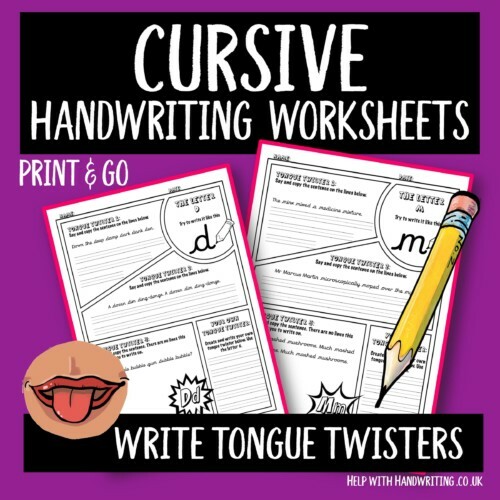 There are 26 worksheets, each one contains 3 tongue twisters to write and then your child is asked to make up their own. 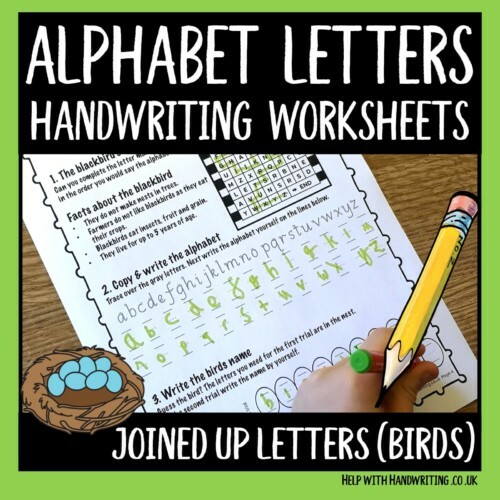 Use these 5 alphabet worksheets to improve writing the alphabet in joined up letters. Every page has the opportunity to learn about a different bird and to complete an alphabet maze. 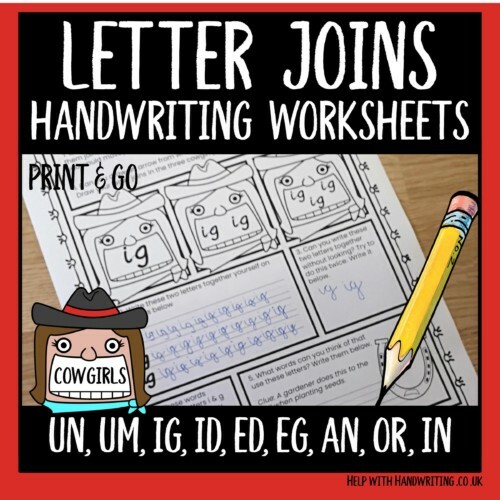 Letter joins – Cowgirls (un,um,ig,id,ed,eg,an,or,in) is designed to help a child develop the essential skill of letter joins. Here you will find 9 worksheets based on the fun. It is part of my cowboy series.